1. 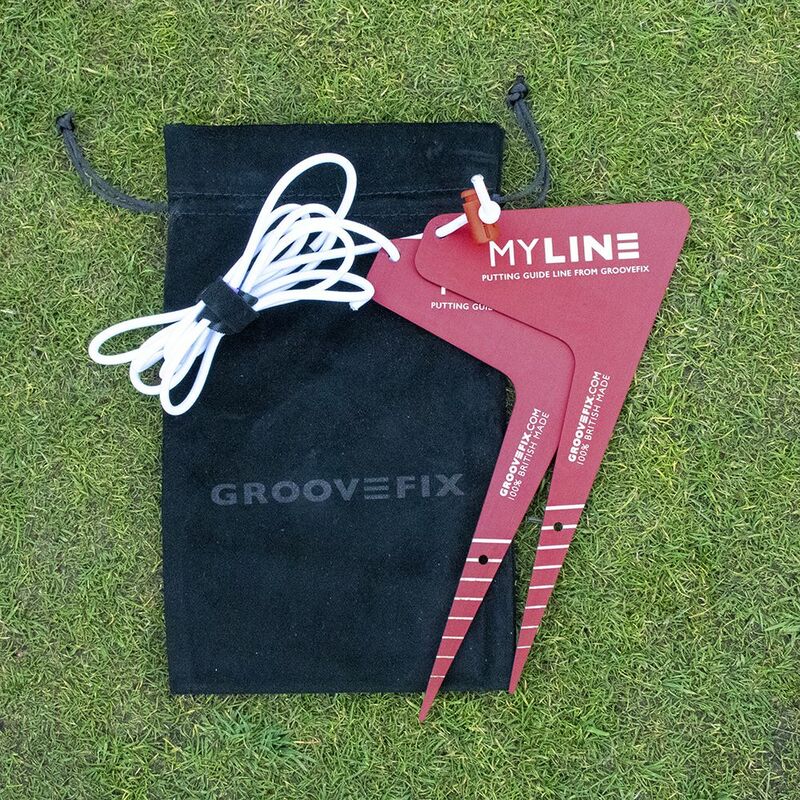 Place the two MyLine stakes in the ground on the same plane as the elastic line. Ensure you push them into the turf until you reach the top line on the leg and use this as a guide for horizontal. Tension the elastic line using the adjustable toggle. Once in position set the black nylon guide to the centre of your stance and then set the red guides to your preferred back lift and follow through. This will depend on the length of the putt and speed of the greens. 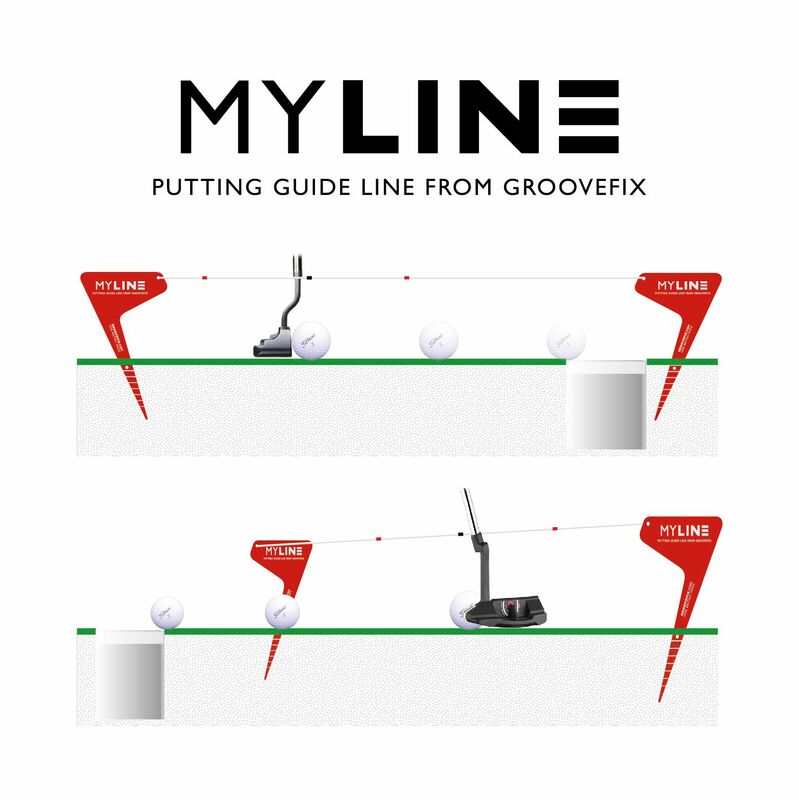 Repeated practice will improve your putt percentage. 2. 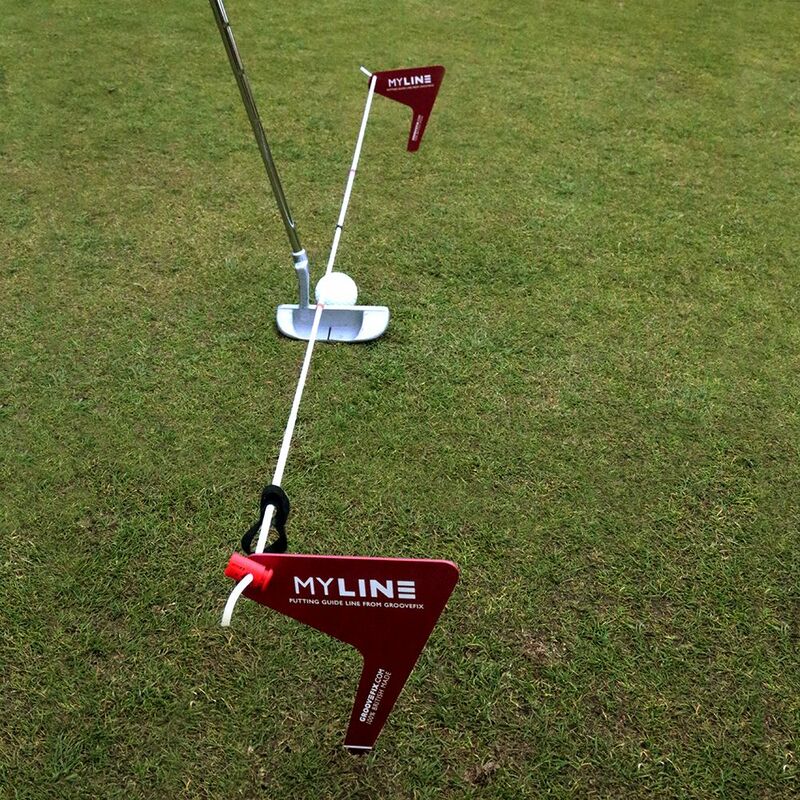 Place the MyLine stakes in the ground parallel to one another so the elastic is closest to your stance. 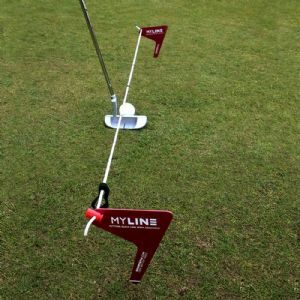 You will then be able to putt along your chosen line without any hinderence from the stakes. Once in position set the black guide to the centre of your stance and then set the red guides to your preferred back lift and follow through. This will depend on the length of the putt and speed of the greens. Repeated practice will improve your putt percentage.